Hair is a sensitive topic. For some, it is one of the biggest factors that defines their personal style. For others, hair equates to a never-ending battle between curly and frizzy textures. The fact is that when someone likes how they look, they move through their day with more confidence. It may seem superficial, but people deserve to treat themselves to something that makes them feel good about themselves. If better hair helps you feel better about yourself, then understanding more about hair care products is a must. But high-quality shampoos, conditioners, and other styling products often aren't cheap. Prices vary, but the site offers regular coupons and discounts. Free samples are available for all paid orders. Beauty Store Depot has been in business since 2005. They specialize in selling top-of-the-line beauty products at discount prices. At the time of this review, they held an A+ rating with the Better Business Bureau. We also found over 150 five-star reviews on other sites, praising the company for prompt service. Such knowledge showcases the 20 years of experience Beauty Store Depot offers new customers. There is also a glossary of hair terms. Under each main category are subcategories allowing you to narrow your search even further. For example, the site sells various kinds of shampoo for every hair issue. Do you have dry hair? You can look for the best moisturizing shampoo. Or perhaps you've recently colored your hair? If so, then you can click on the "Color Treated" icon to see which products might be best. Regarding customer service, all orders receive free shipping with no minimum order requirement. You can contact them via phone, email, or live chat. Customers can enjoy a generous 60-day, no-hassle return policy. Moreover, the return instructions are clearly listed. We were pleasantly surprised by this website. Beauty Store Depot is one of the most organized and professional sites we've reviewed. Information is listed clearly, which is particularly useful for the shopper who doesn't have a lot of time. If you're shopping for hair care products, your search should start with Beauty Store Depot. They earn our highest rating. Since the early 1990s, Beauty Brands has worked to provide excellent service to women searching for top-of-the-line beauty products. They have grown from just selling hair products to cosmetics and skin care. At the time of this review, we found no complaints registered with the Better Business Bureau, which is impressive for any company. Such a wide range showcases Beauty Brands' 20 years of experience. In many ways, this site is better than shopping at a salon. In addition to being knowledgeable in all hair types, the site also offers the most popular hair-care brands such as Redkin, Biolage, TIGI, Pureology, and Sebastian. Their prices are very reasonable with sale items as low as $2.25. Their sorting feature allows you to find all items under $10.00 - very helpful if you're trying to stay within a budget. They also have a "Take 10 Rewards" program. This program offers customers a choice of discounts: You can receive 10% off when you either spend $100.00 or enjoy five treatment services from the in-store spa. Beauty Brands has over 50 locations in various states. Regarding customer service, you can contact Beauty Brands via email, phone, or mail. According to the site, you have up to 60 days to return or exchange items if you are not satisfied. You need to include your receipt, and the item must be in its original packaging. If you are returning a gift, they will issue you a new gift card. The overall process usually takes about 30 days. Overall, the informative website is easy to navigate. We appreciate how transparent this company is and the efforts they make to earn their clients' trust. We highly recommend shopping online with Beauty Brands. In the 1990s, Jacquelyn Lang founded Beauty Encounter. As of 1999, she shifted her focus to online sales as a means of providing exceptional products at discount prices. Beauty Encounter is accredited with the Better Business Bureau. We also found over 400 positive reviews on Google for new customers to read. Beauty Encounter carries an impressive inventory. New customers can enjoy products from brand names such as L'Oreal, Deva Curl, and Matrix. Moreover, customers will appreciate being able to purchase these brand names at considerable discounts, making this online store very budget-friendly. Regarding customer service, the company has a 30-day return policy. You can contact them via phone, email, or chat. You can also enjoy taking advantage of clearance items and other weekly deals, which adds up to even more savings. There is also a rewards programs for customers to utilize. Overall, the site is neat and organized. We were very impressed with the extensive inventory and customer-friendly pricing. Because this is an online discount store, we recommend contacting them to make sure they have what you're interested in purchasing. For these reasons, we give Beauty Encounter high marks. Planet Beauty has stores in over 40 states and has been in business since 1992. According to their website, they provide "a one-stop shopping experience" for anyone in search of beauty products. They have an inventory of over 20,000 items. Prices are very competitive. They offer several well-known brand names, such as Pureology, Redken, and TIGI. You can also find lesser known brands and specialty items. And, you can find shampoos, conditioners, treatments, hair dyes, and styling products. Silver: Earn $15 for every 350 points; one point for every dollar spent. Gold: Gold members receive 1.25 points for every dollar spent. Platinum: Earn 750 points and receive 20% all purchases. Platinum members receive 1.5 points for every dollar spent. Unfortunately, this is program is only available for in-store purchases, not for online shoppers. 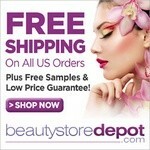 Regarding customer service, Planet Beauty offers free shipping for orders over $34.00. However, this offer is limited to the continental United States. While they are not registered with the Better Business Bureau, we did find over 300 reviews, praising their efficient and effective customer service. Overall, the site is informative and easy to navigate. We hope they will extend their loyalty program to online customers. With over 20 years of experience, Ulta Beauty's website is the online extension of the salon. Its goal is providing excellent beauty products at competitive prices. At the time of this review, they held an A+ rating with the Better Business Bureau. Unlike other websites, Ulta offers hair care items for children. There is also a "Beauty Guide" to advise customers on the best products for their beauty needs. They also offer a rewards program, which awards gifts when customers spend certain dollar amounts. Regarding customer service, Ulta's site offers regular coupons and discounts, including free shipping for qualifying orders over $50.00. Unlike other online stores, they do ship to Hawaii and Alaska. Overall, the site is easy to navigate, with a modern, clean look. Most customer reviews we read reassured Ulta's reputation for striving to provide excellent service. However, we did find several reviews which stated Ulta sometimes did not honor their online offers. We hope they will work harder to resolve customer concerns. One-time free return. All other returns incur a 20% restocking fee. Beauty Trends boasts an A+ rating with the Better Business Bureau. They have been in business since 1988. The website showcases their 28 years of experience in the beauty product industry. We found over 300 positive, five-star reviews, praising their expertise and customer service. If you are looking for hair-related items Beauty Trends offers shampoos, conditioners, combs, styling tools - even products for eyebrows. Our favorite feature is the "Cancer Support" page, where they provide affordable false eyelashes and discounted hair wraps. Overall, we were very pleased with the amount of sensitivity and understanding Beauty Trends shares with its clients. However, the return policy and lack of several popular hair care brands left us wanting more. Most beauty sites we reviewed offer free, no-hassle returns. Beauty Trends only offers one free return. All other returns incur a 20% restocking fee, which might keep customers from returning. We hope they will reconsider this policy. Shampoo Zone's website offers over 2,000 beauty products. The site is well-organized, tailored to help customers find what they're looking for in a timely fashion. Our favorite feature is their search engine. Customers can utilize the "Product Compare" feature when trying to decide which brand's product to purchase. For example, if you are concerned about dry hair, "Product Compare" will show you all the products you could buy, allowing you to pick the best overall value. Regarding customer service, Shampoo Zone goes the extra mile. They are the only company we reviewed which offers a 100% money-back guarantee. To receive a refund, fill out the online return request form. A customer service representative will follow up with you and issue a return authorization number. The process is quick and straightforward. Our only issue with Shampoo Zone is how difficult it is to find company information. While a little mystery can be fun, the company is not registered with the Better Business Bureau, and we could not find out how long they've been in operation. They only review we found was another site that confirmed Shampoo Zone to be a legitimate company. Overall, the site provides an easy shopping experience. We hope Shampoo Zone will add some customer testimonials to their site. This addition would help build their credibility. Look Fantastic operates out of the United Kingdom and is one of the leading hair care suppliers for Europe. They have been an online presence since 1996, making them one of the most experienced companies in the beauty product industry. Unlike other sites, Look Fantastic offers the "Beauty Box", a monthly membership plan which works like a book club - only with beauty products. Membership prices start at $16.00. If you prefer to stay apprised of the latest beauty trends, then this program might work for you. Several well-known publications, such as Elle and Cosmopolitan, have featured articles about the "Beauty Box" membership programs. There's no doubt, Look Fantastic understands the beauty industry. However, according to the website, the return policy was last updated in 2014. Customers must contact customer service to see if an item in question is returnable. The company will refund postage for shipping an item back, but only if a return has been approved. Regarding customer service, we found several sites that posted complaints about this company, mainly from people who had difficulties receiving refunds. Moreover, Look Fantastic is not based in the United States, meaning they are not registered with the Better Business Bureau. And keep in mind, to contact them is an international phone call. We recommend contacting them via email or live chat. Overall, Look Fantastic provides an online presence with a professional, modern vibe. The site is neat and easy to navigate. Unfortunately we were less impressed with the high number of complaints we found. How does one find the most effective hair care solution at an affordable price? And if you don't have a lot of time, where can you find information, so you know what product works best for your type of hair? Brand. Do you go with a brand name, or a more value-oreinted product? Hair Concerns. Do you wait until you need to repair your hair? Can you afford the best kind of maintenance products? Cost. Who offers the best deals and hair care discounts? Customer Service. If the product doesn't work the way you hoped it would, can you return it without any problems? To help you with these decisions, TopConsumerReviews.com has reviewed the best hair care stores available today. We hope this information helps you find the hair care products that help you look and feel your best.